Ferrari brought the 458 Spider back to basics with enthusiasts finding themselves able to boast about its simplicity and speed. Reaching 60mph in under 3.3 seconds, the V8 engine roars in a way that sends every heart soaring. With a top speed of 199mph and 570hp how can you not want to take this piece of mechanical excellence around the track? What’s more you can even hire a Ferrari 458 Spider as part of a corporate package or for official business purposes including VIP pickups, car festivals, staff reward days, and even meetings. Here at Ferrari Hire, we strive to go the extra miles for our clients and work to cater to every necessary need and requirement. 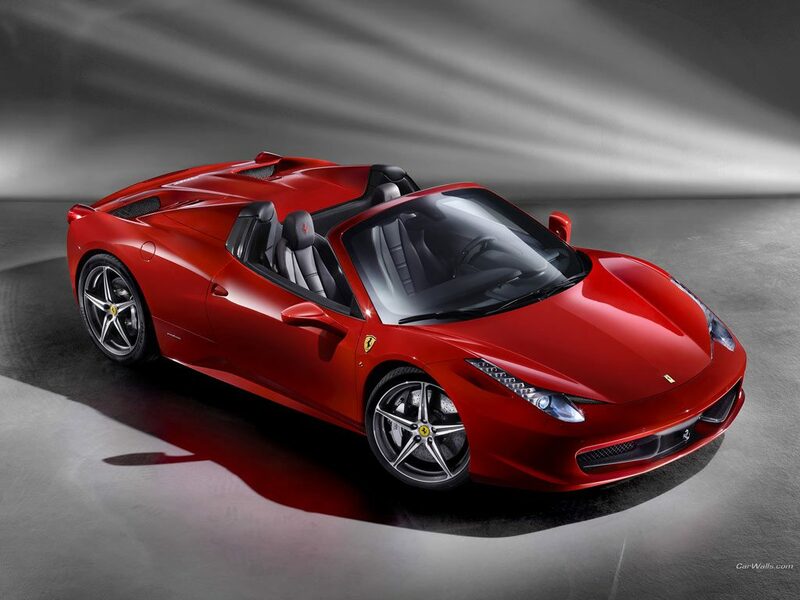 With this in mind, we are able to offer extra services for anyone who is looking to hire a Ferrari 458 Spider and even offer a delivery and pick up service at the rate of £1.50 +VAT per mile outside of central London. We also allow for extra drivers to be added onto the insurance at the rate of £20 +VAT per person per day. For additional drivers who are between 25-28 years of age, they will need special approval from our insurers and can be added onto the insurance at the cost of £35 +VAT per person per day. If you would like to know more information about our Ferrari 458 Spider hire cars, contact us using our special enquiry form.